Uses: Lent Holy Week, Eastertide, Ascension, communion Scripture: John 13:1; Romans 8:35 Drawing from scripture, the writer takes us on a journey through the passion of Christ and beyond. The sadness of the opening surrenders to the joy of the final verse that celebrates the resurrection hope we have in the risen Christ. 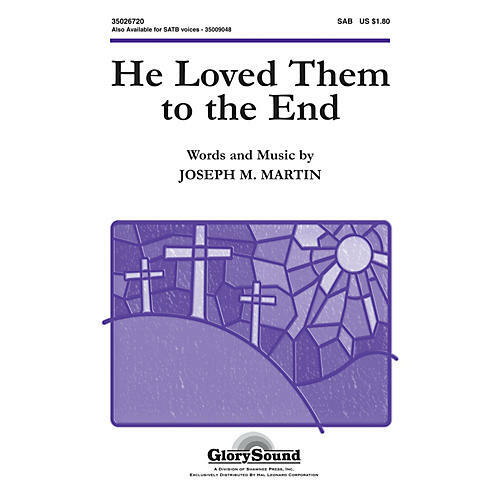 The text references Christ's final words of assurance and makes this a beautiful choice for Eastertide, Ascension and other post-Easter worship experiences. Moving! Available separately: SATB, SAB; Duration: ca. 3:47.